This week on Community Checkpoint, we talk to some of the officers from the Republic Rangers. Although their name has military symbolism, their number one priority is having fun…after all it is a game. Now that doesn’t mean they are just “floating” around the SWTOR universe. They are active in planning and organizing weekly guild Operation runs. We will get to learn a bit more about their approach to fun and a family atmosphere, along with their opinions on some in-game mechanics. CRR’s 100th podcast Party – UPDATE! 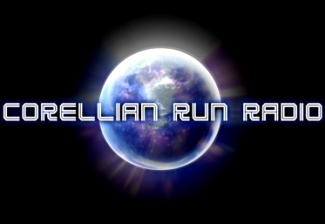 Corellian Run Radio will be taping our 100th episode, this Saturday, July 13th! After the show is recorded, the CRR crew will be partying around 8:00 PM CDT, in the Kaas City Cantina. We look forward to seeing you there! Welcome to Community Checkpoint. Over the past week, I was able to meet and correspond with the Siths of Technology guild. They thought it might work better to have more of an informal meeting at a cantina. So without out any further ado, let’s get to meet their guildmaster Albert and a few of his fellow guildmates and toss back a few Corellian Ales. Welcome to another Community Checkpoint! This week we look at a guild that is serious about their endgame progression. This guild, Morningstar, is more than that, it also is a larger gaming community that embodies multiple games of various genres. Now, having heard they are serious into raiding and a larger guild, many are already thinking that this is one of those “elitist” guilds, but after getting to know them more, they really are a big casual guild that loves taking down endgame bosses. We will get to learn how this guild and gaming community got started, about their raiding, and how they strive to help gamers both members and non-members alike.